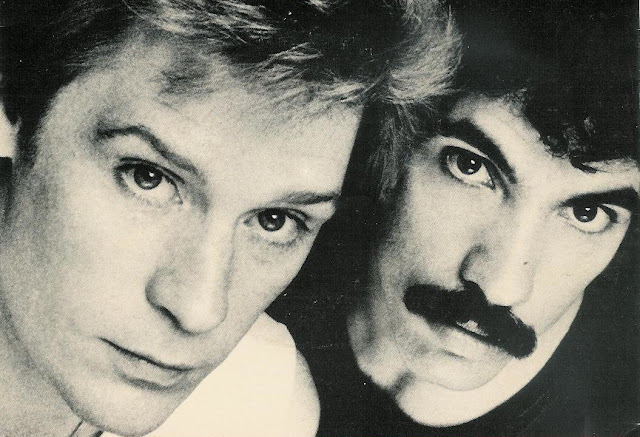 35 years ago this week, Hall and Oates were at the top of the US pop chart with the single "Kiss on My List" from their 9th studio album Voices. Building on the success of their 2nd #1 single, Voices would lead a stretch of 5 consecutive platinum albums in the '80s for the duo. It would spend 100 weeks on the Billboard 200 Album Chart and the subsequent 4th single "You Make My Dreams" would climb to #5 on the pop chart. For me, Hall and Oates is one of the '80s artists that unfortunately fell victim to the Columbia House/BMG era. I say that because I bought several greatest hits albums during that time and I've only adventured beyond those with a few artists. I haven't listened to many full Hall and Oates albums and I know alot of great unreleased music has been waiting to be discovered for a long time. I planning to listen to Voices this week and mainly focus on the unreleased tracks. Rediscover Voices this week via YouTube below or subscribers can listen to several tracks for free through Amazon Prime music. You can also join me by posting your memories or favorite tracks from the album in the comments.